37 experts. will be speaking. Starts at 9:00 AM. In its fifth year, the Haskell eXchange is an annual conference created for and by the Skills Matter community. An opportunity for Haskellers to meet, learn and share skills, discover emerging technologies and help evolve the Haskell ecosystem. Everyone is welcome to join, whether you are an expert or a beginner, whether you are a commercial user, an academic or a hobbyist, we'd love it if you join us this year at the Haskell eXchange! The fifth Haskell eXchange was a great success, growing to 3 tracks of inspiring talks and workshops. Thank you to all those who joined us, Speakers and Attendees alike, we had an awesome time and we hope you did too! A special mention to our Programme Committee who helped us build a superb schedule as well. Registration for 2017 is Open! Haskell eXchange 2017 will be held on 12th and 13th October 2017. Join us for another great year - don't miss our Early Bird Registration offers! Join us for these awesome sessions! During this talk, you will learn how to use Haskell's powerful features for abstraction to create a Neural Network library in native Haskell that makes it easy to create complex network architectures in a type-safe and flexible way. Automatic differentiation is used to provide painless gradient descent and easy extension with new components without the need to first compute complicated partial derivatives by hand. Furthermore, the API uses "Pipes" for separation of concerns (data import, training, reporting, termination). Many Haskell programmers write parsers using parser combinator libraries like `parsec` or `uu-lib`, or parser generators like `happy`. These systems are popular because they are easy to get started with and suitable for production applications. In particular, parser combinators libraries are popular because the parsers obtained in this way are easy to debug, maintain, generalise and compose. The disadvantages of the underlying parsing technologies - left-recursion, nondeterminism and ambiguity - are well understood and can be circumnavigated. Some argue that parsing is therefore a solved problem. Others turn to generalised parsing. Generalised parsing overcomes these disadvantages: modern parser generators are capable of generating parsers for arbitrary context-free grammars. The generated parsers find all possible derivations of an input string in worst-case cubic time and space. In recent years, combinator libraries like `p3` (OCaml) and `meerkat` (Scala) emerged, promising to combine the advantages of parser combinators with those of generalised parsing. In this talk, you will explore the implementation of the `gll` combinator library, offering generalised top-down parsing to Haskell programmers. The combinators of these libraries are so powerful that they may compute explicit representations of context-free grammars, enabling features common to parser generators like lookahead tests and grammar transformations. This power comes at a price. Following the authors of the `grammar-combinators` library, I argue that combinator libraries for generalised parsing require observable sharing. As a consequence, such combinator libraries cannot offer programmers the same flexibility as `parsec` and `uu-lib`. Although offering generalised parsing, some benefits of combinator parsing are definitely lost. L. Thomas van Binsbergen is a PhD student in Computer Science at Royal Holloway, University of London, and an MSc graduate of Utrecht University. His work revolves around the specificying and prototyping programming languages. Notable are the contributions he made to the Utrecht University Attribute Grammar Compiler (UUAGC), implementing algorithms for compile-time scheduling of attribute evaluation based on dependency analysis. In recent years, Thomas has been associated with the PLanCompS project and has developed Haskell tools for defining and executing FunCons: highly reusable and modular components used in the formal specification of programming languages' semantics. He is currently working for Liqd.net on the AuLa project (open source and written in Haskell) aiming at bringing liquid democracy to students. Previously, he was a postdoc researcher with the Demtech project at IT Univeristy of Copenhagen focusing on formalizing cryptographic voting protoctols in type theory. Before that, he was an engineer and then a PhD student in the Gallium research team at INRIA Paris Rocquencourt. At that time, he was mainly focused on the design of programming languages and in particular meta-programming. He learned programming and computer science at the engineering school of EPITA in Paris. Nicolas tweets at @npouillard, and his website can be found at https://nicolaspouillard.fr. Most build systems start small and simple, but over time grow into hairy monsters that few dare to touch. Our favourite Glasgow Haskell Compiler is no exception. In this talk, you will learn that there are a few issues that cause build systems major scalability challenges, and many pervasively used build systems (e.g. Make) do not scale well. You will use functional programming to design abstractions for build systems and overcome these challenges. You will explore a new build system for GHC, called Hadrian, that we engineered using these abstractions. The result is more scalable, faster, and spectacularly more maintainable than its Make-based predecessor. Andrey Mokhov is a senior lecturer in computer engineering at Newcastle University and a Royal Society Industry Fellow. He is interested in applying abstract mathematics and functional programming to industrial engineering problems. 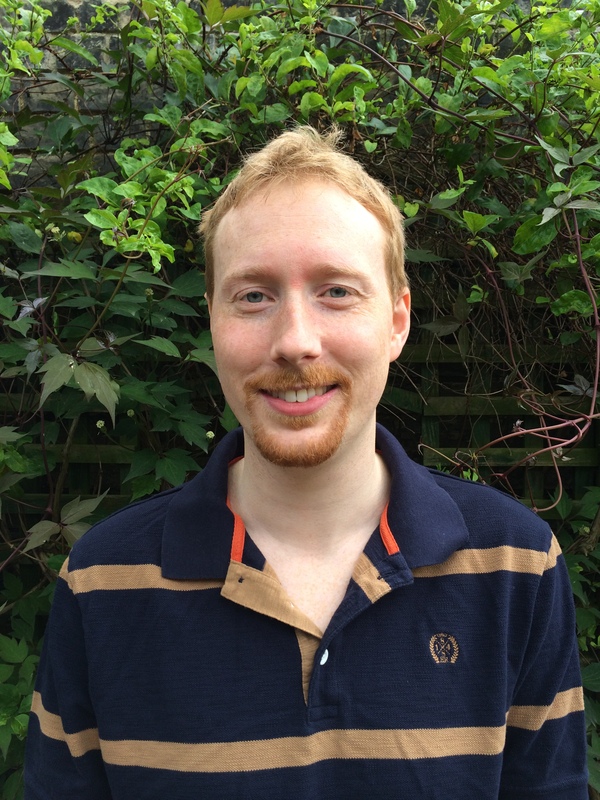 In 2015 he was a visiting researcher at Microsoft Research Cambridge redesigning the build system of the Glasgow Haskell Compiler; this project is currently continued as part of a 4-year Royal Society research fellowship dedicated to studying build systems in general. Haskell programs: how do they run? Haskell is a lazy language and thus differs from most other widely used languages. The way that Haskell programs are executed can be obscure to newcomers and old hands alike. It's not actually too hard to understand how Haskell programs are executed, but it is rather unusual! This talk will demystify lazy evaluation and help explain related issues such as performance and space leaks. The talk will be accessible to beginners but should be interesting to Haskellers at any point on the experience spectrum! Tom Ellis studied computer science and mathematics at the University of Cambridge, graduating with a PhD. Since then he has worked as a software developer in the finance sector, mainly as a consultant using Haskell. He is the author of the Haskell "Opaleye" library for type-safe, composable Postgres access, and is an experienced public speaker. In this talk, you will discover that broad language interoperability is crucial for Haskell's success in not entirely insignificant niches such as the enterprise. And that performance of language binding mechanisms is the key to retaining good modularity. Hot on the heals of previous efforts such as inline-c and inline-r, you will learn inline-java and explore how the library enables you to ask existing JVM-based frameworks to seamlessly distribute your analytics Haskell apps at scale on dozens of machines in the cloud. Mathieu Boespflug is a functional programmer and enthusiast based in Paris. He is the founder of Tweag I/O, an R&D Lab pushing the practice of programming language theory and distributed systems. Some time before that, after having learned Haskell from the venerable old and new guard at the University of York, he wrote Haskell and Ocaml at various academic institutions, focusing on compiler technologies for dependent types during his PhD (École Polytechnique, France) and type safe metaprogramming for both proofs and programs during his postdoc (McGill, Canada). Thanks to recent work by Bas and Roel van Dijk at Lumiguide, it is now possible and easy to use OpenCV from Haskell. In this talk, you will discover how Haskell lets us define a typed and ergonomic API on top of the OpenCV types and functions, and how easy it is to define new bindings -- also thanks to the inline-c library presented at last year Haskell eXchange. Following this, you will explore the full capabilities of the bindings through a live coding demo showing how you can process input from a webcam in real time. Francesco Mazzoli is a Haskell programmer working at FPComplete from Rome. Before that, he has dropped out of a PhD working on Agda, worked with Haskell at Better, and spent almost a year working at RabbitMQ. He studied Computer Science at Imperial College London. Confused by foldl' vs foldl? Unsure when you've got the strictness right? Programs taking too much memory and running too slow? You are not alone! Most Haskell programs suffer from "space leaks" - this talk covers examples (all only found and fixed in the last year) from the base library, QuickCheck, pretty, Happy, Alex and Shake. Some fixes saved over 1Gb of memory! Space leaks occur when a program uses more memory than necessary. Haskell, as a lazy language, is particularly vulnerable to a form of space leak where a small accumulator (e.g. an Int) is instead represented by a sequence of updates that grows on each iteration. In this talk, you will learn the gritty details of space leaks, then the session sets off on a quest to remove them from all Haskell programs. You will explore the relationship between space leaks and stack usage, then how to use the existing tools built in to GHC to detect and debug excessive stack usage. These techniques have already slain lots of space leaks, and hopefully in your hands they can destroy even more. Shake - a library for writing build systems, an alternative to make. Hoogle - a Haskell API search engine, searching the standard Haskell libraries by function name and type signature. HLint - a tool that suggests stylistic improvements to Haskell code. Check out Neil's blog and follow him on Twitter @ndm_haskell. In this talk, you will explore using QuickCheck and using it beyond technical tests or for testing algebraic properties & visual symmetries: You will dive into the rich world of Business Domain Specific properties! See that your business rules are Domain Invariants (in the DDD sense), and you will learn how to translate them to properties QuickCheck can check! Writer of tales – on art, puzzles & crafts – to friends & compilers. Likes dialectics, paradigm jumping, serendipity, endless conversations. In this talk, you will explore a case study on how to implement a 3D first person shooter game in Haskell. The project's goal is to mimic the Quake 3 engine, but starting from scratch using purely functional paradigm. You will discover each problem domain related to a 3D engine and game, such as loading and displaying the game content, game logic implementation. Luckily, you can learn to use off the shelf solutions from the Haskell ecosystem as a solution (e.g. binary, megaparsec, monad transformers, lens, lambdacube 3D). Find out more on lambdacube here. He likes to experiment with cutting edge technologies usually doing it in open source collaboration. Csaba's projects typically combine multiple fields from his interest. i.e. The STG is the lowest functional intermediate representation of GHC-Haskell, and the gateway between the functional world and the metal. At this level, many common questions are answered, such as when stack and heap are accessed, why space leaks happen, or why certain algorithms are surprisingly inefficient. familiar with, and watching what happens to stack and heap during execution, such as in the classical foldl (+) 0 overflow. David has been a Haskell enthusiast ever since he (was) stumbled upon it in early 2012 as a physics student. After spending a lot of time with it and talking to others in #haskell, he proposed the unifying the Applicative-Monad hierarchy and removing the fail function from the Monad class to the mailing lists. The former is live as of GHC 7.8, the latter is in a backwards-compatible slow transitional phase for the next couple of compiler versions. As of 2016, he is member of the Core Language committee to work on the next Haskell standard. When David isn't working or haskelling, he spends his time outdoors hiking, bouldering, mountainbiking or motorcycling. No endpoint returns a 'Password' datatype. No request takes longer than 50 ms. These techniques largely apply (though not as cleanly) to web applications written with frameworks other than servant-server - indeed, written in any language. During this talk, you may also discover how the servant ecosystem can be used to improve integration tests. Among the packages you will look at are servant-quickcheck and servant-mock. Prior experience with servant is not required. Julian K. Arni is a Haskell consultant, founder of Turing Jump, and one of the original authors of servant. Haskell programs make use of overloading extensively. As a consequence, qualified types, i.e., types containing class constraints are ubiquitous. In this talk, you will discover how a type system with type classes works internally, and how a compiler such as GHC deals with the presence of qualified types. You will explore the basics of the "dictionary translation", and how it is applied during type checking. If you are a Haskell beginner who would like to learn more about how the Haskell type system works, this talk is for you! You would also have lots to learn if you are more advanced in the language. Is a type a lifebuoy or a lamp? A lifebuoy can save you when you have already fallen in the water, but it doesn't stop you falling in the water: it can help to protect you from the more serious consequences of your mistakes. A lamp helps you see what you are doing, but it doesn't stop you doing things: the extra information can help you avoid making mistakes. Types are often sold as a means to stop programmer errors becoming execution errors. In modern Haskell, that would rather understate their value, as I hope to demonstrate. Programming live, I shall show what you can achieve when you see types as an input to the program construction process (in which labour is shared with the compiler in helpful ways), rather than an output from type inference. 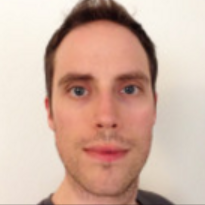 Dr Conor McBride runs the Mathematically Structured Programming group at the University of Strathclyde. He specialises in dependently typed programming. Over a decade ago. he was co-designer and implementer of Epigram. These days, while working on foundational innovations beyond advanced languages like Agda and Idris, he also engages keenly with the languages funcitonal programmers use for real work today. He is one of the people helping to drive the evolution of Haskell's type system towards ever greater expressivity. #HaskellX 2016 Party with Pizza and Beer! 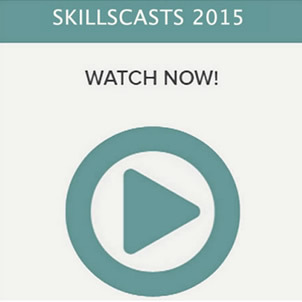 In this talk, you will learn a new approach to the problem of calculating compilers. In particular, you will explore developing a simple but general technique that allows you to derive correct compilers from high-level semantics by systematic calculation, with all the required compilation machinery falling naturally out of the calculation process. The approach is based upon the use of standard equational reasoning techniques, and has been applied to calculate compilers for a wide range of language features and their combination. During the talk, you will discover the basic ideas using a small example language. View the pdf publication here. Graham Hutton is Professor of Computer Science at the University of Nottingham. He has served as an editor of the Journal of Functional Programming, Chair of the Haskell Symposium and the International Conference on Functional Programming, Vice-Chair of the ACM Special Interest Group on Programming Languages, and he is an ACM Distinguished Scientist. His research interests are in developing simple but powerful techniques for writing and reasoning about programs, by recognising and exploiting their underlying mathematical structure. A new edition of his book Programming in Haskell was published in 2016. The talk will focus on how to restrict effects performed by monadic computations using type classes. You will explore the pros and cons of this approach in relation to its alternatives as well as how to solve several common issues that arise, such as the problem of quadratic number of instance definitions. Andrzej Rybczak has been using Haskell in production since 2011. He also studied Computer Science at Wroclaw University of Technology and Mathematics at University of Wroclaw. Join Bas for a great talk on Functional Programming! Bas is a CTO at LumiGuide. Bas previously worked as a Software Engineer for Erudify and a Haskell Hacker for Sensor Sense (Nijmegen, The Netherlands. Introducing the Haskell-tools refactoring framework for Haskell. The system provides opportunities to easily write new refactorings thanks to its purely AST-based approach. Researcher from Eötvös Loránd University. Worked on projects ranging from functional programming to assembly programing. Holds lectures on Java and Compilers. 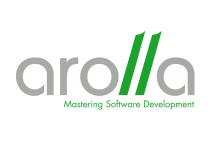 Has interest in domain specific languages, modeling and development of programming tools. Find out more on Boldizsar project here. You will begin by learning how algebraic data types can model our game and give you control over the size and shape of state spaces. Furthermore, that there are trade-offs between different models and that the best model can vary depending on the task at hand. Hence, you will explore two separate models suited to implementing different parts of the game program and learn how to work with and translate between these models, starting with simple primitives and building up to implementing the complete game. Finally, the talk concludes by building a view for our model using the HsQML GUI framework in order to make a fully playable and complete application." A long-time Haskell hobbyist, Robin KAY currently works professionally as an F# developer in the finance sector. In this talk, you will explore one approach that uses Haskell data types to drive a both a PostgreSQL database schema and a frontend system written in Elm. With one set of types to rule them all, whole system consistency is automatic and reliable, and the cost of changing types - and hence evolving the whole system’s data model - is dramatically reduced. Kris Jenkins is a successful startup cofounder, turned freelance functional programmer, and open-source enthusiast. He mostly works building systems in Elm, Haskell & Clojure, improving the world one project at a time. Static type systems are wonderful, but they have their limits, and then you reach for dynamic type and run-time type checks. Haskell has had dynamic types for ages, in the form of the Typeable class, but recent developments has made it feasible to support type-indexed type run-time type representations. That in turn makes it possible to support dynamic typing as an ordinary Haskell library, using a very small, sharply-focused language extension. It turns out that doing this really pushes the envelope on what is possible with static type systems. Not only do you need higher kinds, kind polymorphism, and GADTs, but also kind equalities, and even heterogeneous kind equalities! It’ll be fun. And it’s all in GHC 8.0. Simon Peyton Jones, MA, MBCS, CEng, graduated from Trinity College Cambridge in 1980. Simon was a key contributor to the design of the now-standard functional language Haskell, and is the lead designer of the widely-used Glasgow Haskell Compiler (GHC). He has written two textbooks about the implementation of functional languages. After two years in industry, he spent seven years as a lecturer at University College London, and nine years as a professor at Glasgow University before moving to Microsoft Research (Cambridge) in 1998. His main research interest is in functional programming languages, their implementation, and their application. He has led a succession of research projects focused around the design and implementation of production-quality functional-language systems for both uniprocessors and parallel machines. More generally, he is interested in language design, rich type systems, software component architectures, compiler technology, code generation, runtime systems, virtual machines, and garbage collection. He is particularly motivated by direct use of principled theory to practical language design and implementation -- that's one reason he loves functional programming so much. Jeremy is a lecturer in Computing Science at the University of Glasgow. He is moderately fluent in the following languages: Haskell, Java, C, Scouse and New Testament Greek. This talk introduces string diagrams as a notation for calculating in category theory. You will learn the diagrams to better understand monads, adjunctions, and finally free monads. All of this, of course, is relevant to the curious Haskell programmer who wants to better understand abstract nonsense. 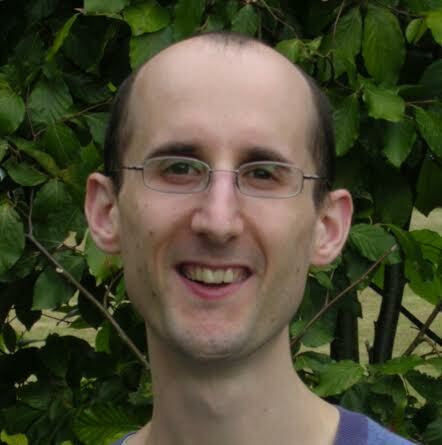 Nick has been using Haskell since 2001 while he was an undergraduate at the University of Oxford, where he also obtained his doctorate in Computer Science. He then went to work as a Haskell consultant at Well-Typed LLP before returning to academia. As a postdoctoral researcher he worked principally on unifying the foundations of recursion schemes using category theory. He is currently a lecturer at the University of Bristol, and continues to work on recursion schemes, as well as effect handlers and domain specific languages. In this talk, you will learn the use of CλaSH to create your own digital circuits in Haskell, and how you can use the generated HDL code to program FPGAs. Christiaan Baaij has been programming in Haskell since 2009, when he started on the first prototype of the CλaSH compiler. Since then, he is always keen on trying to figure out ways to effectively use GHCs latest language extensions for doing circuit design in Haskell. 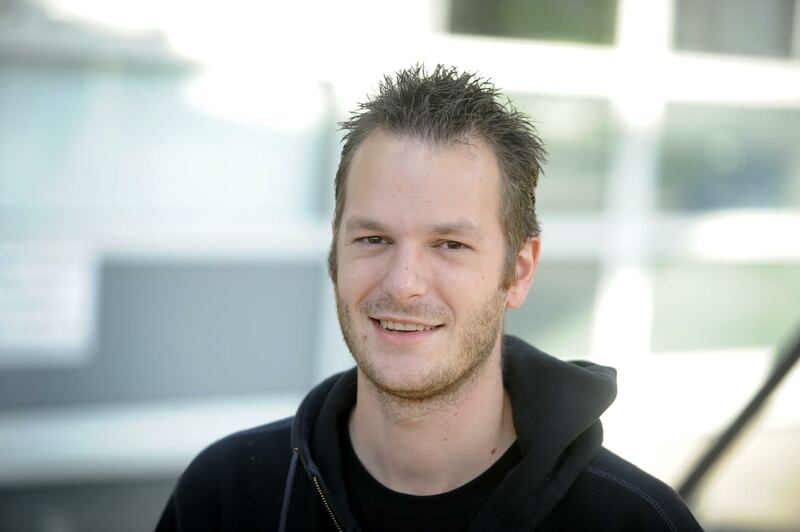 After obtaining his PhD in 2015 from the University of Twente he continued to work on the CλaSH compiler and has recently co-founded QBayLogic to bring the use of CλaSH to industry. Matthias is a software developer and consultant. Exclusive focus on Haskell since 2015. Degrees from Max-Planck Institute of Computer Science in Saarbrücken, Germany and Humboldt-University Berlin, Germany. Projects besides Aula include an identity management proxy, a servant-inspired configuration library, a toolkit for reverse-engineering and optimizing SAP analytics databases, and a framework for testing both the REST interfaces and the UI of web applications in an integrated test API. Jann is a computer scientist and programmer. He is a Ph.D. candidate at University College London, where he publishes on Artificial Intelligence. He is currently working for Sphonic, a London-based startup, developing smart tools to fight fraud. Prior to that, Jann was at SAP Research where he thought up new techniques for handling inconsistencies in design documentation. He is a passionate advocate of functional programming, whether it is in Scala at work or in Haskell and Agda at home. Steven has a Master of Computer Science at the Trier University of Applied Sciences and is currently a Research assistant at the University of Hagen in the area of knowledge based systems. Robert Henderson founded the company Fivey Software in 2015 with the following dual mission: to create commercial video games in Haskell, and to develop high-quality free / open-source game-making tools for the Haskell language. Fivey Software's first game is scheduled for release on Raspberry Pi and PC in 2017. Nickolay is the CTO & co-founder at GetShop.TV and a Haskell teacher at Moscow State University. He has been a Haskell enthusiast since 2009 and is an author and maintainer of some Hackage packages. Oleg is a programmer from Finland (i.e. he's a humble person). He became active in the Haskell community around 2015, and nowadays co-maintains (among other things) servant web-framework, the one where type trickery is involved. Polyglot software engineer specialised in developing distributed applications. Functional programming enthusiast. Loves the human component in software projects. Drinks a lot of tea. Has a blog at michalplachta.com. He currently works as team leader at Ocado Technology, where he is building actor-based software for automated warehouses. #HaskellX Park Bench Park Discussion with Haskell experts! Join us for the #HaskellX Park Bench Park Discussion with Haskell experts! #HaskellX 2016 Wrap Up! See you in 2017! Neil Mitchell will share techniques for detecting space leaks at the Haskell eXchange 2016! I am excited to be joining the Haskell eXchange where I will be sharing my techniques for detecting space leaks. Lazy languages such as Haskell have lots of great properties (e.g. compositionality), but have the major downside of space leaks. Practical techniques to detect space leaks largely remove that disadvantage, without removing any of the benefits. The best thing about being part of the Haskell community is the incredible quality of libraries available. If you take an even mildly popular Haskell library it will probably handle most corner cases properly, be robust to exceptions, be multithread safe, have documentation about types which is statically checked and be reasonably well designed. At Haskell eXchange, I look forward to learning about the work going on in the Haskell community. There are a couple of specific techniques/libraries that look interesting (e.g. neutral nets, game programming), but beyond that I'm interested in how theory and practice are combining (e.g. category theory). While the exact libraries might come and go, the theory underpinning them will hang around forever. My talk will be enjoyed by those who need to counter arguments in pubs about lazy evaluation, along with those writing real Haskell programs where avoiding space leaks reduces memory usage and improves performance. Even those people who don't enjoy the talk will probably enjoy the benefits the talk provides, including removing space leaks from functions in the Haskell base library. Wanna find out more? Jump to the Programme Page! Christiaan Baaij will join the Haskell eXchange to share his experience on programming FPGAs with Haskell! I'll be joining Haskell eXchange 2016 to share my experience on programming FPGAs using Haskell. Functional languages have always had the promise of being easy to parallelise, but naive approaches on a normal CPU never led to any great results. Perhaps unsurprisingly, it turns out that we can, however, naively use the fine-grain parallelism available in functional languages on fine-grain parallel hardware architectures such as FPGAs. At Haskell eXchange, there are several talks I'm looking forward to. Having had to endure the pain of hacking GHCs Make-based build system in the past, I'm interested in Andray's talk about what seems to be a much friendlier Haskell-based build system for GHC. Also, although I have been using Haskell since 2009, I've noticed that my grasp of fixing performance bugs is a bit sketchy at times. So I will definitely be joining Tom's, Neil's, and David's talk to properly refresh my understanding of how Haskell programs actually run, and how to fix the performance of my Haskell programs. My talk will be enjoyed by newcomers and seasoned Haskell programmers alike. Newcomers will get to know that by learning Haskell they will also be able to program unusual architectures such as FPGAs. Seasoned Haskell programmers will get to know how to apply their skills if they ever end up in a situation where standard CPUs just cannot deliver enough performance for their application. Robert Henderson will share his excitement about the possibilities that Haskell offers for interactive rapid development of video games at #HaskellX 2016. As a game developer, I'm excited about the possibilities that Haskell offers for interactive rapid development of video games. I'll be giving a taste of this in my talk, where I'll demonstrate using the Junpi multimedia library to write a platform game in 100 lines of Haskell code. I am looking forward to meeting fellow Haskellers at the conference. There are a number of talks on computer graphics, user interfaces, and education that look particularly interesting. Paul Hudak predicted way back in 2000 that Haskell has the potential to revolutionise graphics and multimedia programming. I believe that we've only just begun to tap this potential, and I'm sure we'll be seeing an increase in the use of Haskell in these areas in coming years. I'm really looking forward to speaking at Haskell eXchange and explain how Haskell programs are executed. Laziness lets us write elegant and compact code but can be unfamiliar and sometimes confusing. I'm looking forward to explaining how Haskell programs are executed and the impact on memory usage. My talk will shed some light on a corner of Haskell which often seems rather mysterious! My talk will be suitable for new Haskellers and long-timers alike. Check out the Highlights from Haskell eXchange 2016! 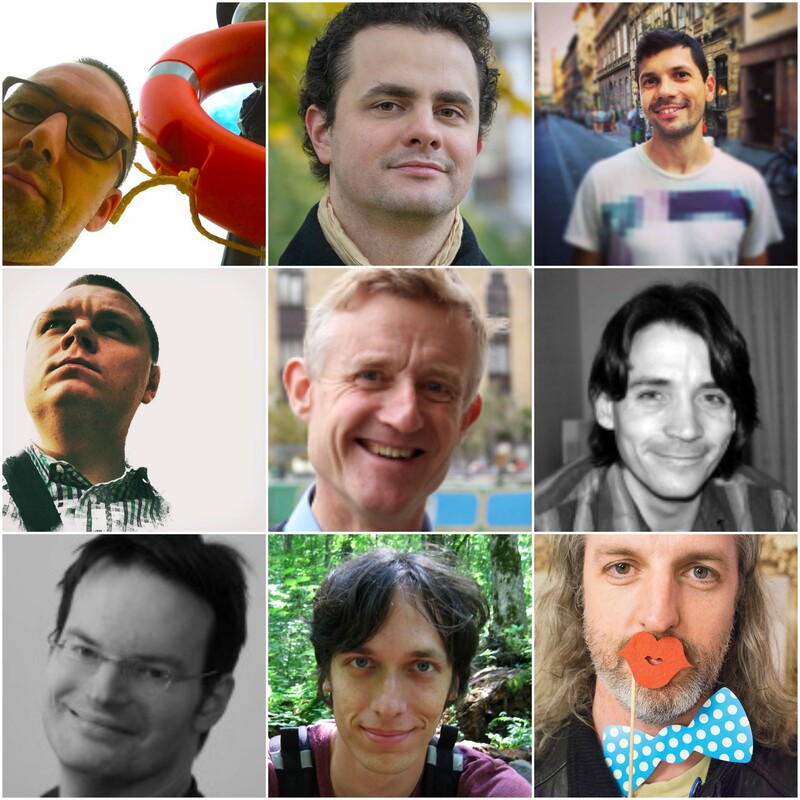 Don't miss these Special Moments with the experts from #HaskellX 2016! Join us for the 2017 edition with more to learn from the leading experts in the Haskell field! Haskell is an evolving language. With each new GHC release, there are some new features, many of which add extra power to Haskell's already remarkable type system. But which extensions are widely used? Which are stable? How can one find out how they really work? While many features are really interesting, documentation is often scarce, and scattered around in various places such as blog posts and academic papers. Learn from this course by Andres Löh and discover an in-depth look into Haskell's type system, including the various language extensions that the Glasgow Haskell Compiler (GHC) has to offer. We're excited to host the Haskell eXchange Hackathon 2016 once again this year. It will be held on Saturday 8th October and Sunday 9th October at Facebook Offices in London. This is a free event for all to join in and have fun hacking with like-minded Haskell enthusiasts! Your registration here will help us prepare for an awesome couple of days. Can't wait for the next HaskellX? Join us for this new 'byte-sized' meetup series with Haskell experts in the lead up to the next Haskell eXchange! Stay tuned and check out this page for more info on regular updates! Engage with 150 highly experienced and passionate Haskell developers and mathematicians exploring functional programming, Haskell and the Haskell stack! Show off your team, projects, tools or devices at your #HaskellX conference booth! 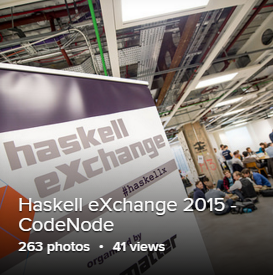 Visibility of your brand and your support for #HaskellX in regular social media updates. Two Full Conference Tickets to the conference, which you can gift to your clients, your engineering team or members of Computing At School (teachers learning computing to teach the new National Computing Curriculum). SPONSOR THE HASKELL EXCHANGE 2016 ATTENDEE BAGS! Be remembered! Have your logo printed on all #HaskellX swag bags, provided to conference attendees, speakers and sponsors attending this year. Exclusive to two swag bag sponsors only! Two free exhibitor tickets and one full conference ticket, which you can gift to your clients, your engineering team or members of Computing At School (teachers learning computing to teach the new National Computing Curriculum). SPONSOR THE HASKELL EXCHANGE 2016 PARTY! Be remembered by all conference attendees, speakers and sponsors attending the party this year! Have your logo printed on the Haskell eXchange 2015 Party beer mats and on highly visible party posters and pop-up banners, which are bound to feature in lots of pictures this year. Exclusive to two party sponsors only! Be remembered! Have your logo printed on all #HaskellX t-shirts, provided to conference attendees, speakers and sponsors attending this year. Exclusive to two t-shirt sponsors only! Many Haskell programmers write parsers using parser combinator libraries like parsec or uu-lib, or parser generators like happy. These systems are popular because they are easy to get started with and suitable for production applications. During this talk, you will learn how to use Haskell's powerful features for abstraction to create a Neural Network library in native Haskell that makes it easy to create complex network architectures in a type-safe and flexible way. Haskell is a lazy language and thus differs from most other widely used languages. The way that Haskell programs are executed can be obscure to newcomers and old hands alike. Following up on the Haskell eXchange, we will hold a two-day Haskell eXchange Community Weekend - HaskellX2gether. Everyone is welcome, beginners and experts alike, and not just participants at the Haskell eXchange, but everyone who would like to participate in a two-day coding festival. 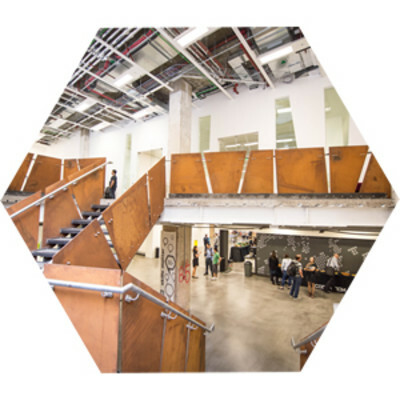 Following up on the Haskell eXchange, we will hold a two-day Haskell Hackathon at Pivotal. Everyone is welcome, beginners and experts alike, and not just participants at the Haskell eXchange, but everyone who would like to participate in a two-day coding festival. Want to learn about the latest innovations in Haskell? Join 100+ functional programmers to learn modern approaches as well as how Haskell's application in enterprise is changing the way our industry tackles complex engineering problems. Want to join the dots of the Haskell landscape? Eager to hear from those driving innovations in Haskell in various industry and academic fields? Then join Haskell experts and enthusiasts this October for London's premier Haskell conference. The second edition of the Haskell eXchange returns to Skills Matter HQ on October 9th. This unique and dedicated Haskell event will pull together Haskell enthusiasts, developers, and thought leaders across Europe. Skills Matter is proud to announce the first annual Haskell eXchange. While we're working with Neil Mitchell to put together a fantastic programme for you, we can already tell you that Simon Peyton-Jones is confirmed to make a keynote!